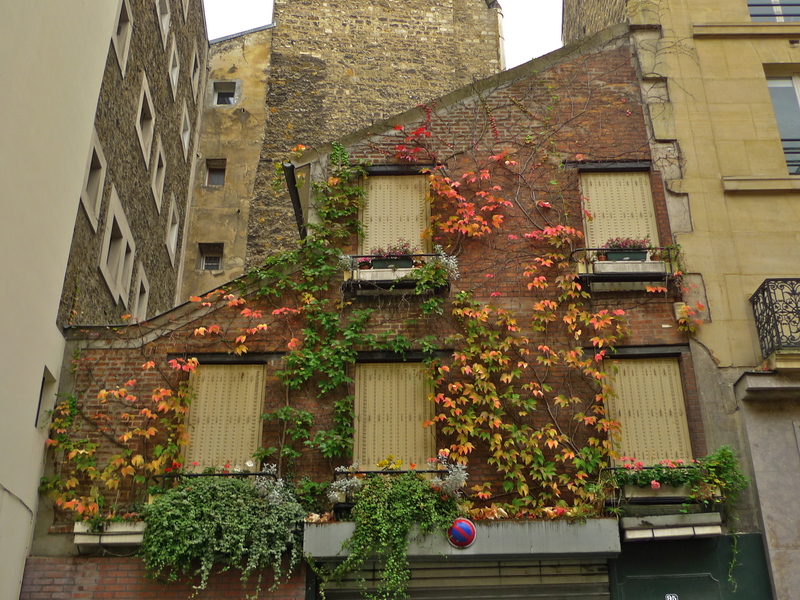 IN THE THIRTEENTH CENTURY rue des Lombards and the area close by was the Wall Street of Paris, the city’s banking centre where a vast amount of money changed hands and fortunes and reputations were made and lost. The street took its name from the large number of money-changers, natives of Lombardy, who established themselves in Paris at the end of the 12th century. At the time when the King and the lords of his court sold prebendaries, bishoprics and benefices by auction the Lombards lent money at a high rate of interest and made immense fortunes. The Lombard money-changers were obliged to conduct their activities out in the open on the Grand-Pont linking the Cité to the Right Bank which became known as the Pont des Changeurs (Exchange Bridge) now known as the Pont au Change. Whilst these money-changers worked on the bridge most of them lived close by in rue de la Buffeterie which, in 1322, became rue des Lombards. This imprinting of incorporated trades on the urban landscape was quite common with street names quite often being changed to reflect the occupational specialities of the area. By the fourteenth century political and economic dislocation caused a xenophobic backlash against the Lombards during which their financial expertise was held against them and they became known less as money-changers lubricating the economy and more pejoratively simply as usurers. The parallel between the Lombards in fourteenth century Paris and today’s Wall Street money-changers, and the popular perception of them both, seemed quite uncanny as I walked along rue des Lombards on a dull early November afternoon recording a soundwalk. 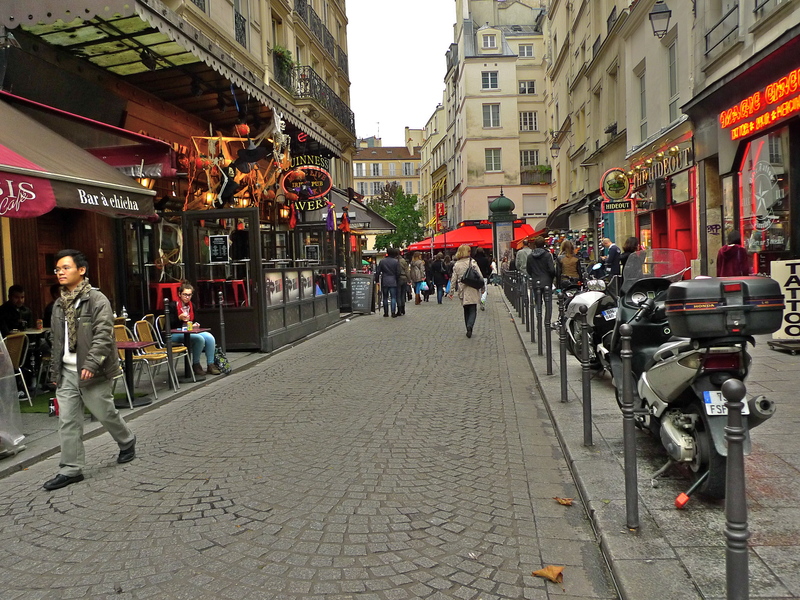 Rue des Lombards begins just off Place Sainte-Opportune at rue Sainte-Opportune and stretches for 228 metres to rue Saint-Martin. 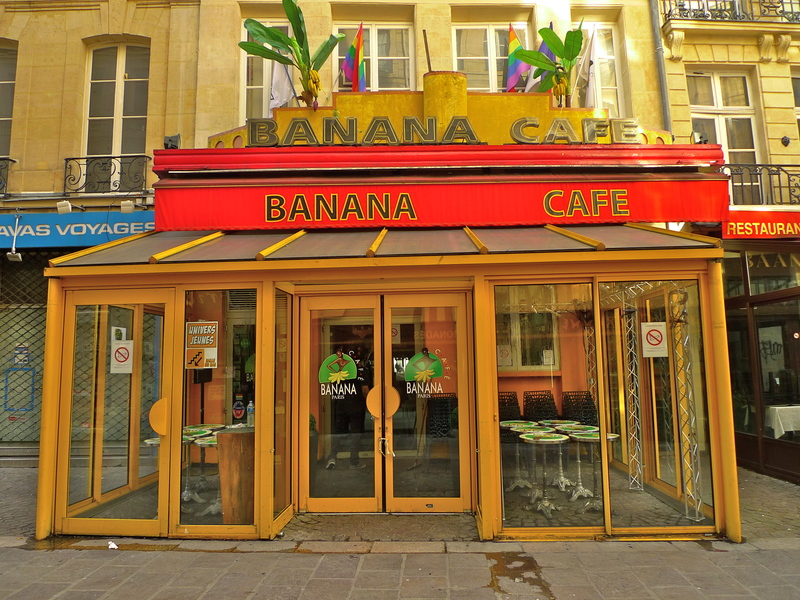 It crosses the busy nineteenth century Baron Haussmann creation, the Boulevard de Sébastopol and another medieval street, rue Saint-Denis. If you listen carefully to my soundwalk you will hear the audio aid for blind people at one of the crossings over the Boulevard de Sébastopol. 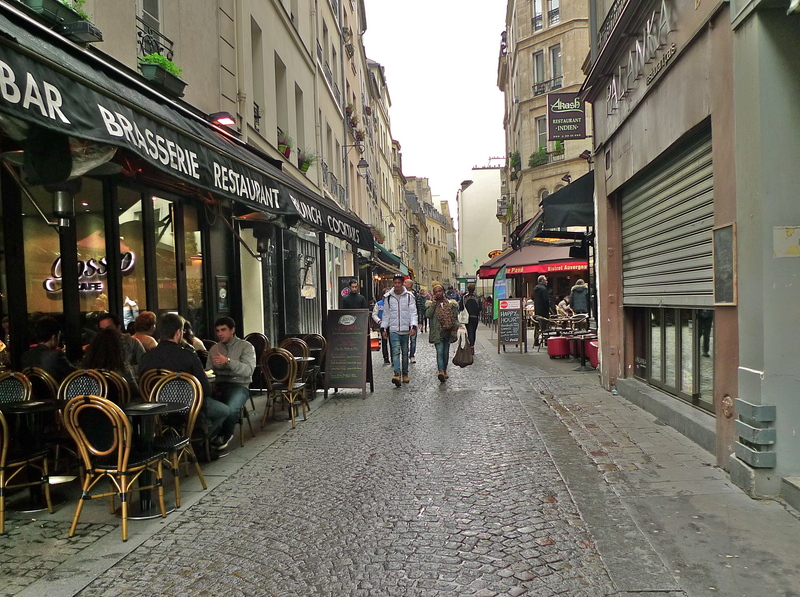 Today, rue des Lombards is not only one of the oldest but one of the most vibrant streets in Paris. Although my soundwalk was recorded in the afternoon, the street really comes to life at night. 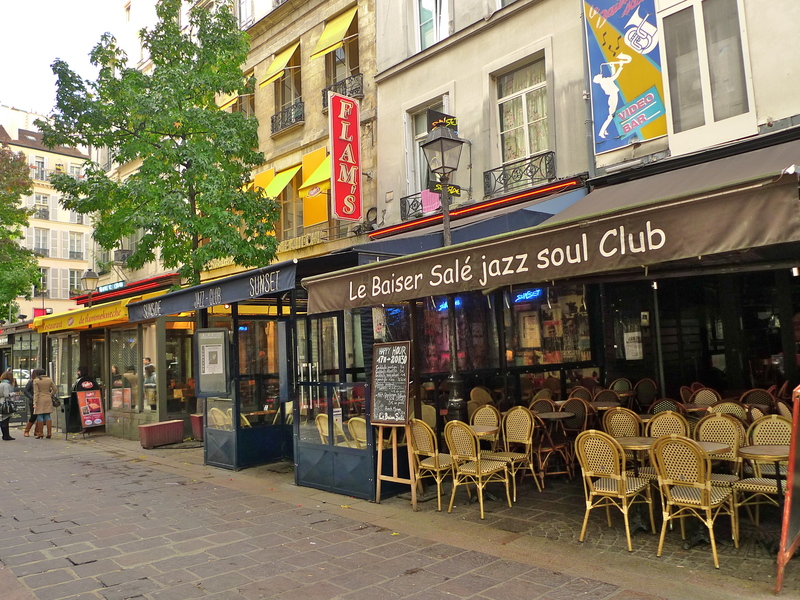 It’s renowned for its three jazz clubs, Le Duc des Lombards at the junction with Boulevard de Sébastopol and Le Baiser Salé and Sunset/Sunside, which sit side by side further along rue des Lombards. 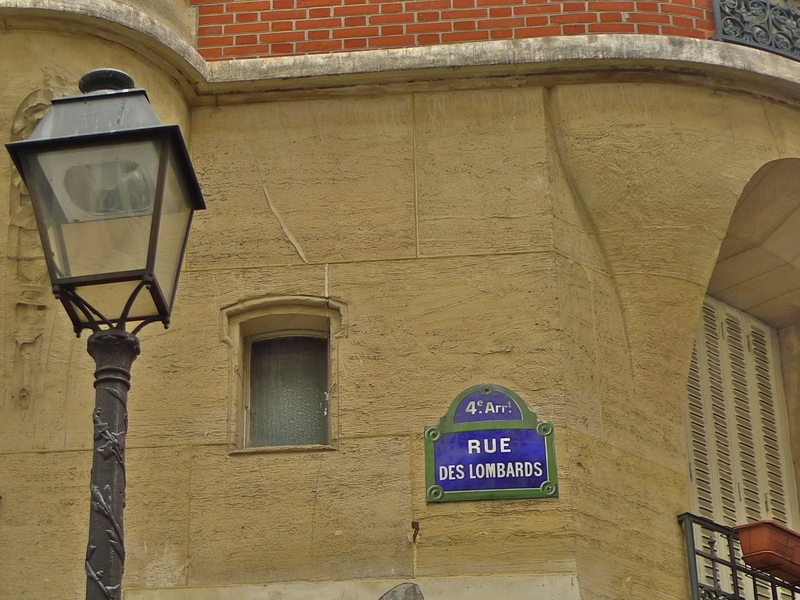 N° 14 rue des Lombards is interesting. Now a restaurant, this is the site a thirteenth-century house built by the Order of the Knights Templar as a place to conduct their business. Inside is a medieval cellar once used as a chapel. During the French Revolution the clergy used to gather here to celebrate Mass in secret. 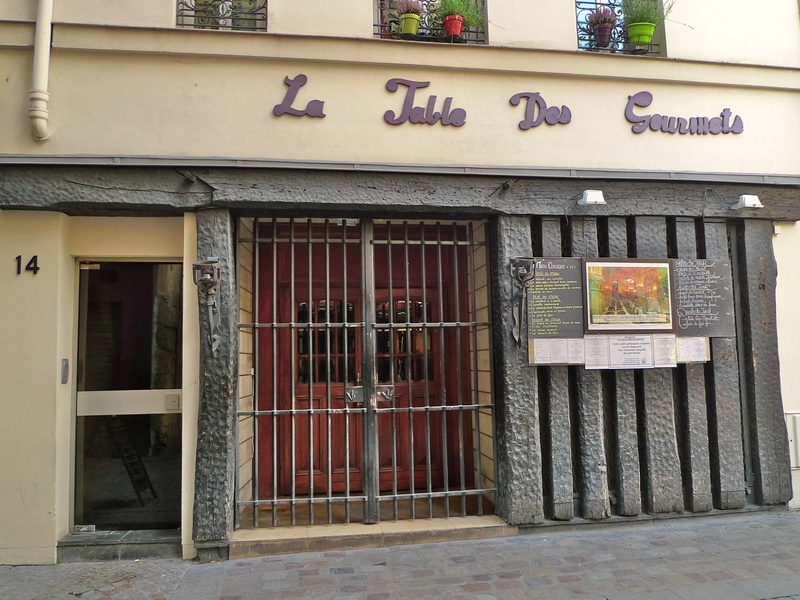 It was also supposed to be the temporary hiding place of François Ravaillac who, on 14th May 1610, stabbed to death King Henry IV as he was passing in rue de la Feronnerie close to rue des Lombards. 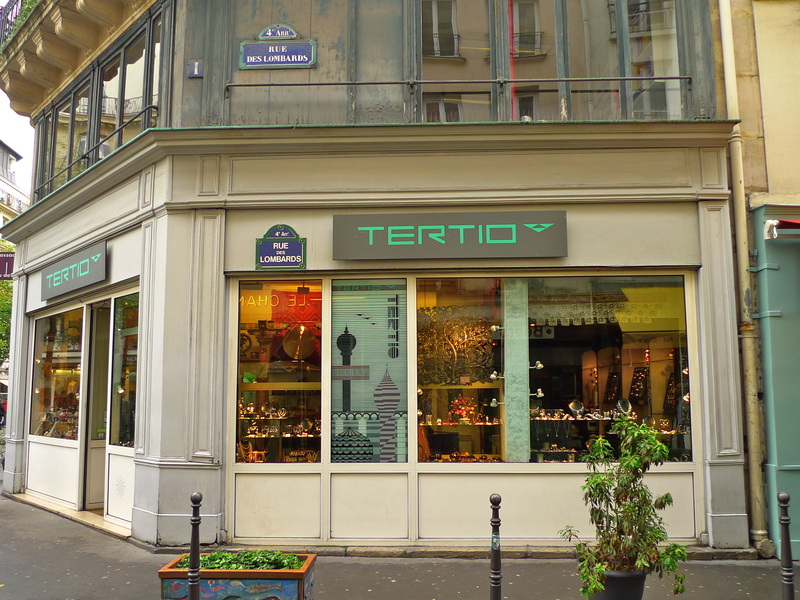 Ravaillac was arrested outside N° 13 rue de la Ferronnerie. He was tried, tortured and executed by being pulled apart by four horses, a fate reserved for regicides. Walking along rue de Lombards it’s worth pausing to catch this view from one of the side streets of La Tour Saint-Jacques listed by UNESCO as a World Heritage Site. 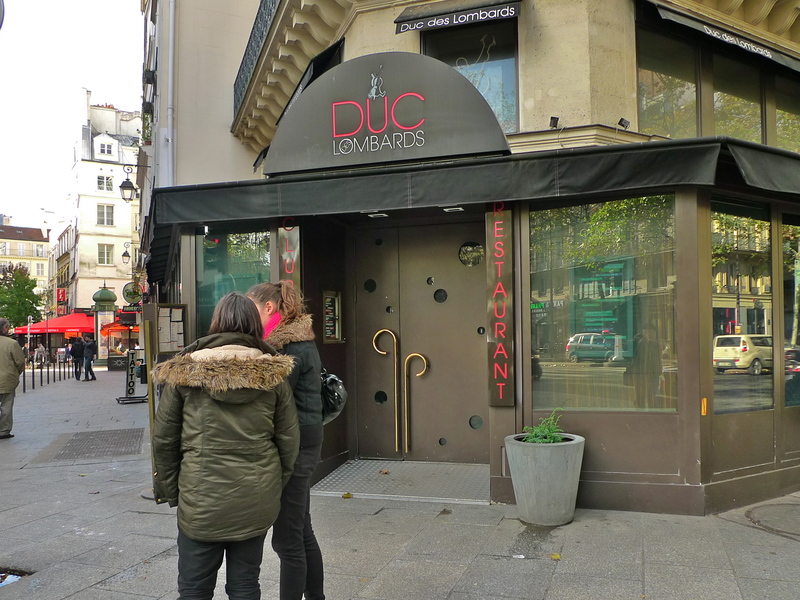 Rue des Lombards was also once famous for confectionary and in particular for La Renommée, the confiserie owned by Nicolas Appert, inventor of airtight food preservation. 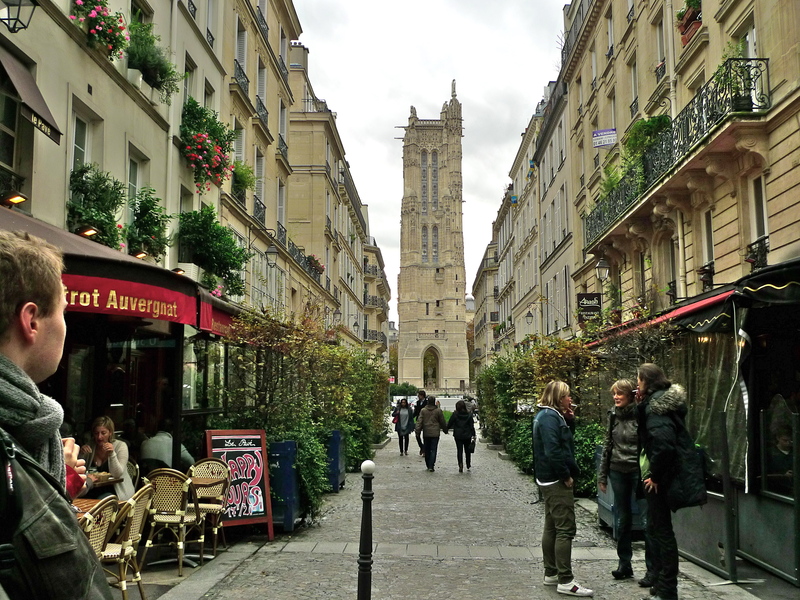 As it has for centuries, money still changes hands along this medieval cobbled street but today you’re more likely to part with your cash in one of the Irish pubs, Auvergne bistros or famous jazz clubs than you are buying bishoprics and benefices.